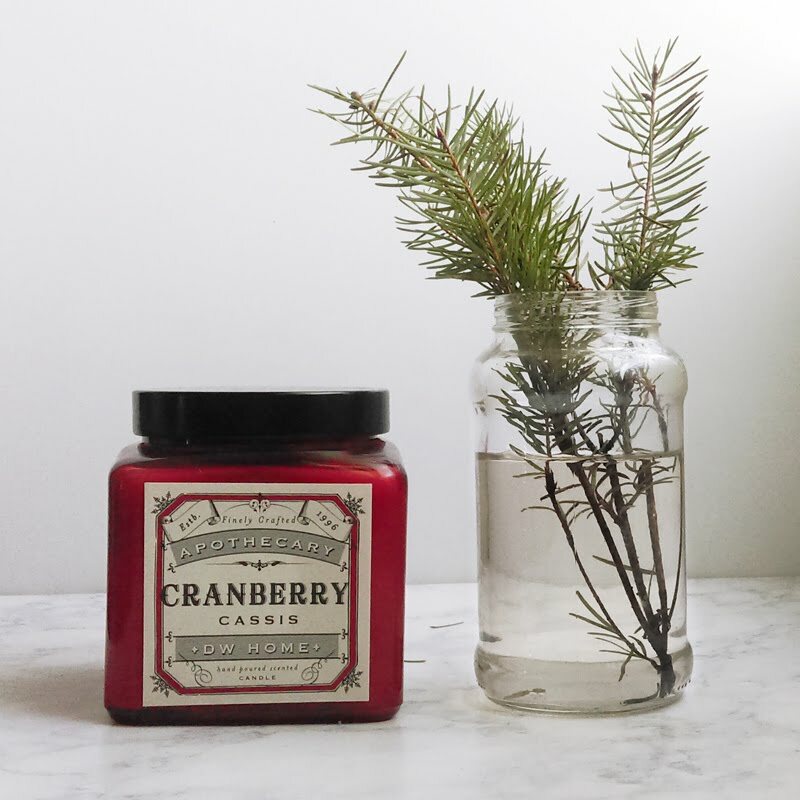 For as long as I can remember, I've always had this "Crimson Cranberry" candle. Not sure where I got it (most likely Ross, since that's where I get majority of my candles) and it doesn't have a brand on it, but the wick's down to its last burn. 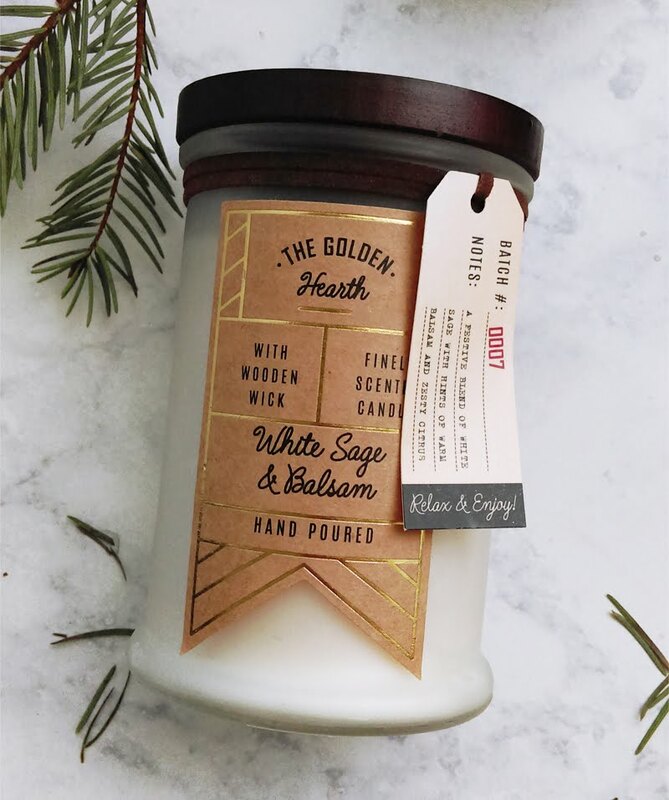 A few years ago, I was on the hunt for another one but I couldn't find this particular candle anywhere, not even online. 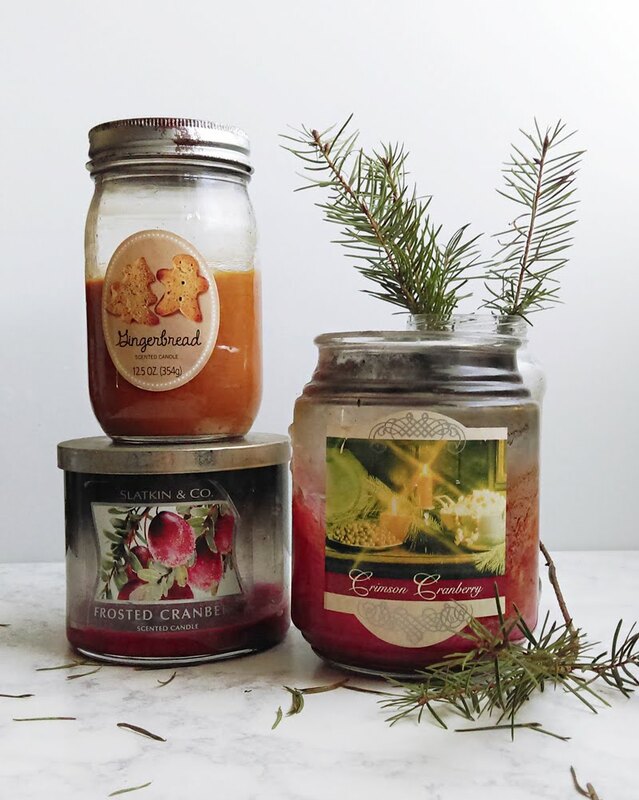 My good friend ended up finding me a similar one from Bath & Body Works, a 3-wick "Frosted Cranberry" candle, and as you can see from this photo above, it has been dearly loved. It no longer burns because the wicks are completely gone (I'm thinking of melting the left over wax and pouring it into my old Crimson candle). So with these two candles at the end of their lives, I had to go on another hunt for a new one aaaand...I LOVE what I found! I went to TJ Maxx last week to go candle shopping. I don't know if anyone else does this but I will literally smell all of the candles until I find ones that I like :) It's not really a great idea being that I have sinus allergies and lots of fragrances give me major headaches, but I'm super picky with scents...so a headache is worth the risk! 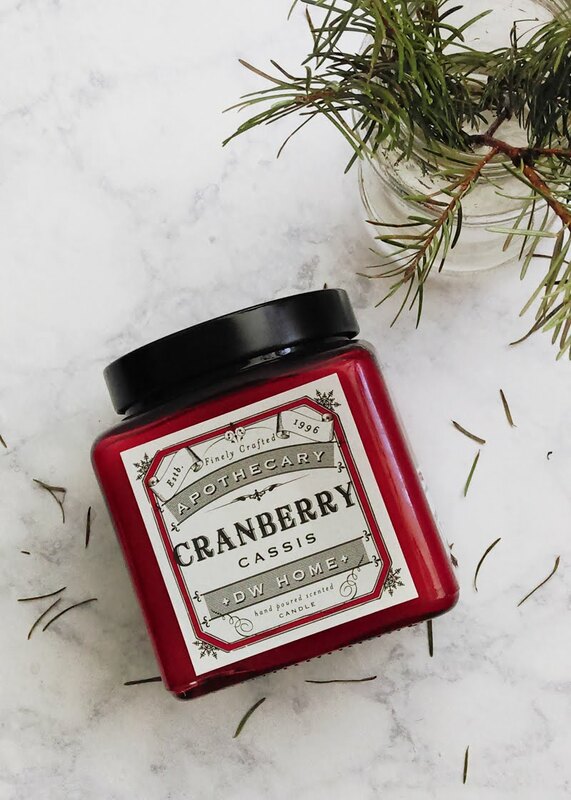 I found this large "Cranberry Cassis" candle from the brand DW Home for $7.99. I'll be honest, the packaging is what caught my eye (#GraphicDesignerProblems). I love the look of the jar, the label design, just everything about it! 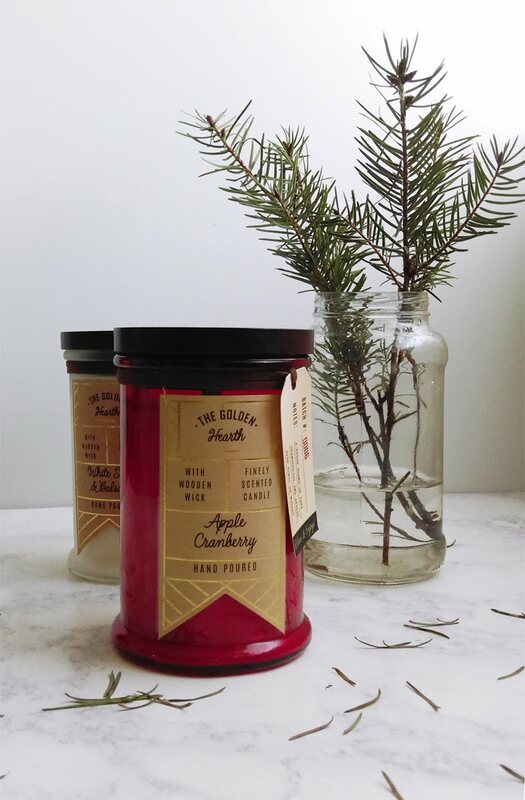 And a total plus is that the scent is a great match to my old cranberry candles! There were other cranberry candles I smelled that day but they either smelled too sweet or too perfume-y. 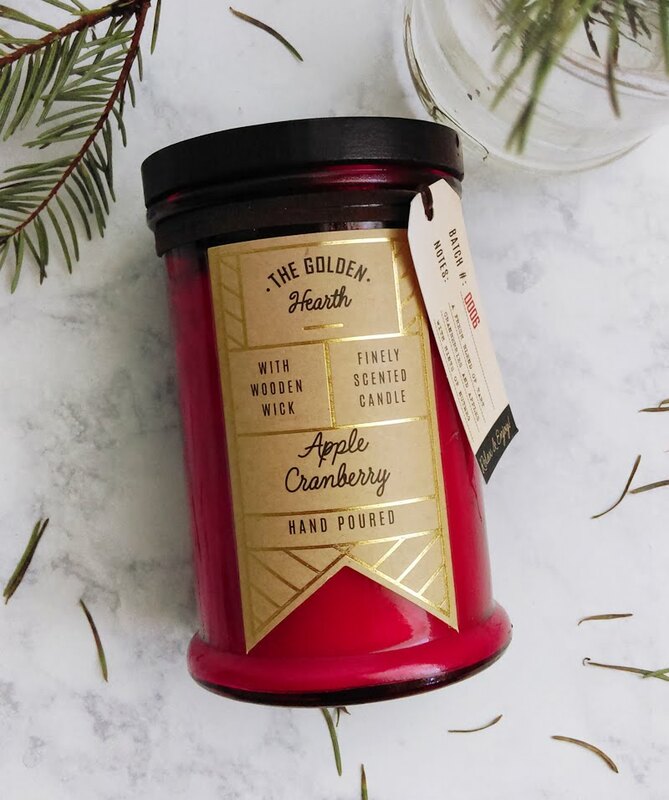 This candle isn't listed on the DW Home website and I couldn't find it anywhere else on the internet besides two listings on eBay. One of the listings priced this at $22 and noted that this particular candle is "hard to find". There was only one of this candle on the shelf at TJ Maxx so i'm glad I got it. Isn't it gorgeous??! I headed to Ross next and surprisingly, another success! Like the candle I found at TJ Maxx, these two caught my eye because of its packaging. I love candles that come with a wooden cover (like the Woodwick brand candles). 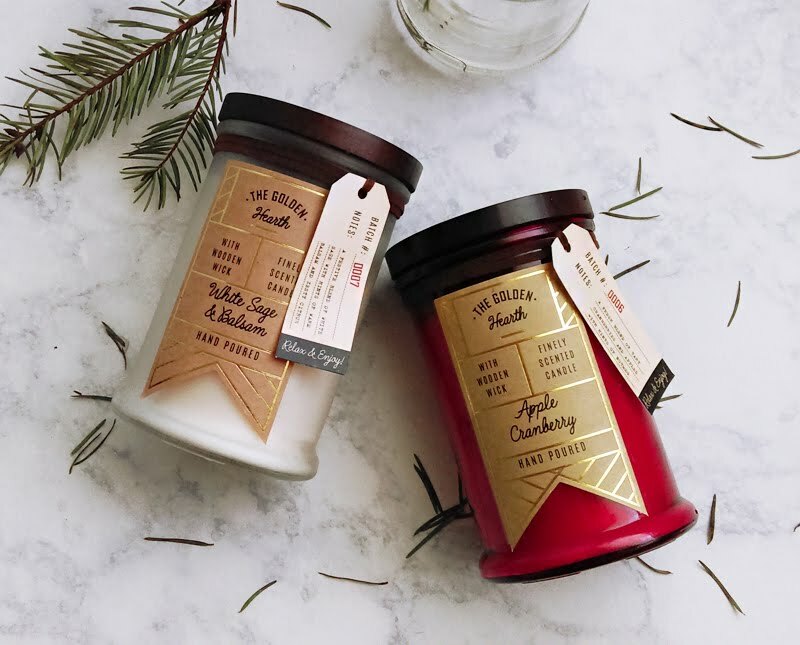 These two are from the brand Bloom & Prosper Candle Co. and are absolutely adorable! They come with a tag attached that has "To:" and "From:" on the back which would make this a perfect gift. Although, I'm not sure where else to get these. I tried Googling the brand but there wasn't any clear sources. Happy I was able to snag these up and especially for just $5.99 a piece, you can't beat that! 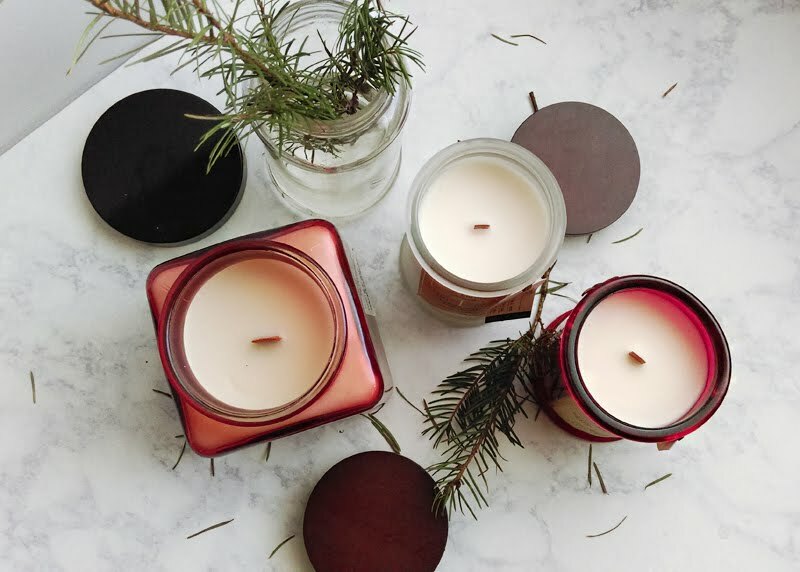 And speaking of Woodwick, all of these candles are very similar to that brand as they have the wooden wick, which gives off a cozy crackling sound when burned—sounds amazing on a chilly, rainy day :) I'm currently burning these two candles as I type this and the combination is just...Christmas perfection!